The DC Extended Universe is Dead...Long Live the Worlds of DC? 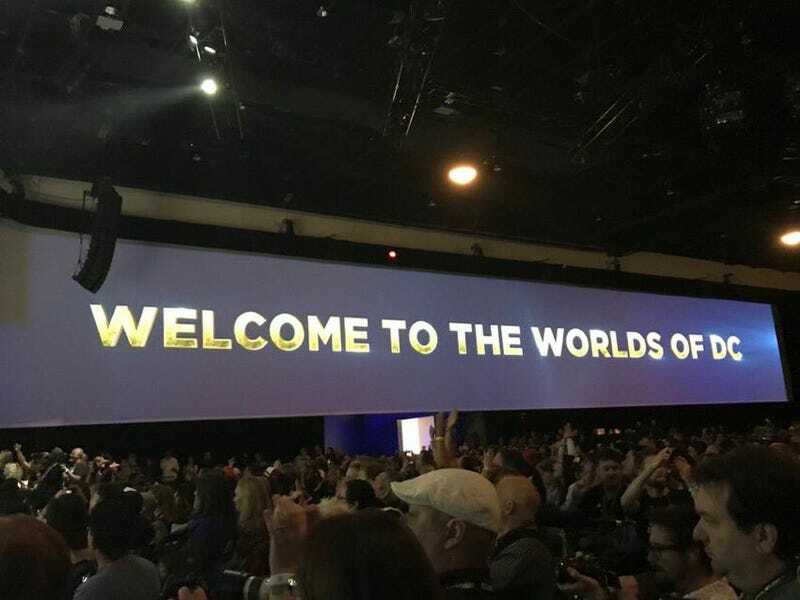 This comes from, of course, San Diego Comic-Con, where DC’s Hall H panel was branded with “Welcome to the Worlds of DC.” Unlike the Marvel Cinematic Universe, the “Worlds of DC” sounds like it encompasses more than one universe, like, say, a multiverse, which makes sense given that the Joker origin movie is set to take place in a different universe than MOS/Suicide Squad/Wonder Woman/Justice League universe. Which is all to say that, somehow, Marvel and DC have ended up in the same place their comic book companies were at forty years ago: Marvel has a lot of characters in the same universe, while DC has a lot of alternate Earths that might make it confusing for new readers.